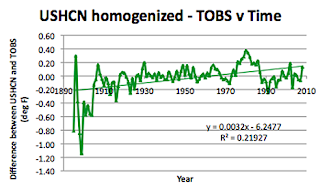 As I move around the states looking at the differences between the GISS station temperatures, the USHCN homogenized temperatures and the original raw temperature data (albeit modified by a correction for the Time of Observation (TOBS), we have returned to Kansas, which I had originally written about before the TOBS data became available, and then written again looking at that data. 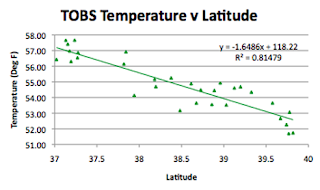 Back when I did the initial TOBS data analysis I was still sufficiently naïve that I did not realize how, by manipulation of the station picks, GISS could manipulate the temperatures that it reports. 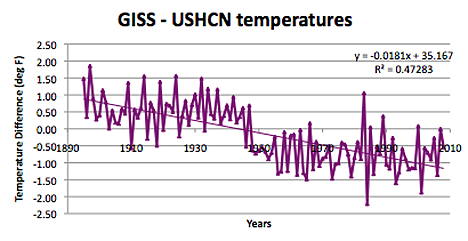 Chiefio has explained both how the current selection raises the overall U..S.A. station record by 0.6 deg C, over the USHCN average, by selective deletion of stations, for 2008, for example. 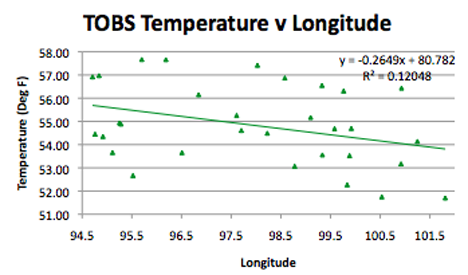 There is also a new set of 59 GISS stations that have been added, but these do not have the historic data that I have been comparing to, so I am going to ignore those additions for the rest of this series. 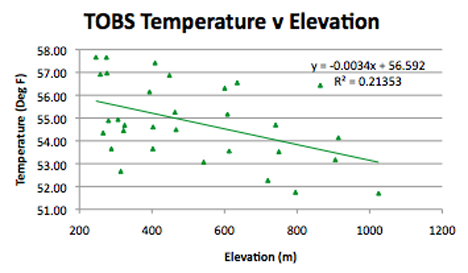 However there is one additional point that this study has brought out about how NASA shall we say “fudges” their data. 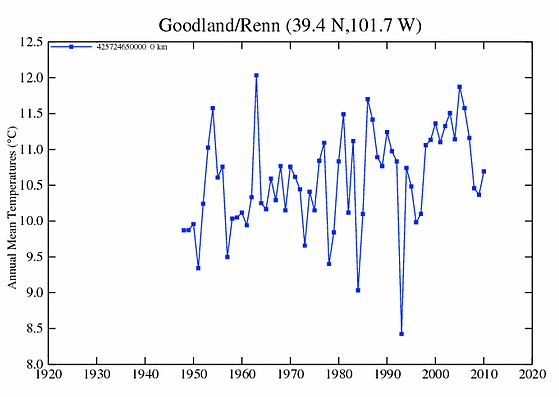 I first mentioned, when looking at Idaho’s temperatures, the GISS habit of marrying a short-term station with a long-term one. 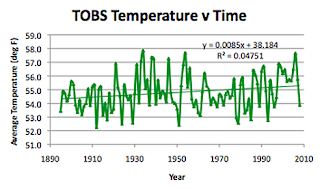 E.M. Smith (Chiefio) has done a detailed post explaining how, by using this type of combination it is possible to generate a trend that does not exist in the initial data. 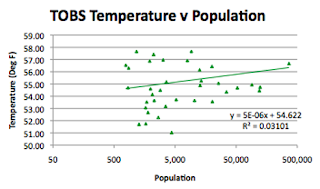 What has since been interesting, as I have continued with this series, is finding just how many state temperature situations that applies to. 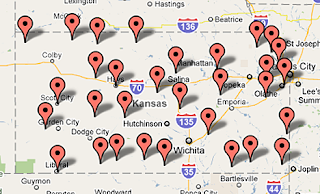 And the first one that I noticed, but not then realizing the reason, was Kansas, the second state that I had looked at There are 5 GISS stations on the list, including Witchita , Topeka, Concordia,, Dodge City and Goodland. 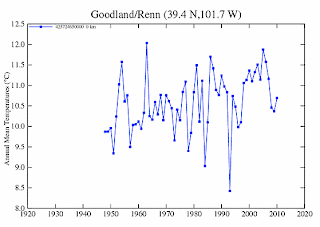 It is Goodland that only has data since 1948. The geography of Kansas is that it is 400 miles long and 210 miles wide, running from roughly 94.5 deg W to 102 deg W, and 37 deg N to 40 deg N. The highest point is at 1,231 m, and the average elevation is at 609.6 m. (The average USHCN station is at 511 m and the average GISS station at 586 m). Note that for the curve above, because it is the only source of information for the larger cities in the state, I have included the GISS station data. 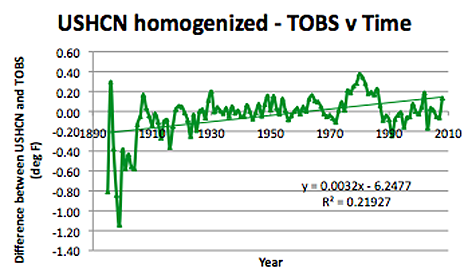 And finally there is the difference that shows the effect of USHCN homogenization of the data relative to that recorded and adjusted only for time of observation. I am replacing the original two posts of Kansas on the comprehensive list with this post so as to give a greater consistency to the formatting. 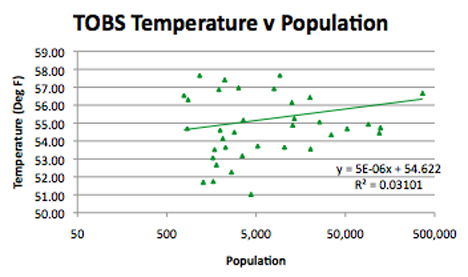 Icelandic eruptions - no need to panic - yet!